Readers may recall that about 18 months ago we ran a review of the virtual installations at the Primtings Museum. If you want to see the gallery’s lovingly-sculpted recreations of famous artworks you had better hurry; Artistic Director Ina Centaur has announced that the space is to disappear some time in the next few days, along with the associated sims of the SL Globe Theatre. The news that Kim Gordon and Thurston Moore are to separate has caused a wave of consternation to sweep around the internet, as all we ageing Sonic Youth fans are forced to confront the fact that a band that seemed young and vital back when we were young and vital has members who have been married for 27 years, and are in their 50s. I really need to get back into gear with the blogging and the tweeting; last time I looked my Klout score had declined to a miserable 16, which is not going to get me into any of the cool parties. 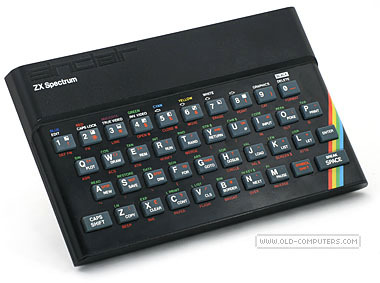 I’d love to say that my first-ever computer was an Apple II, but it wasn’t, it was a ZX Spectrum; I just fantasised about having an Apple II, which seemed like a properly futuristic machine when I read about it in Omni magazine in the 1980s. I never actually got round to buying an Apple desktop, even when I had the money; at some point I was seduced by the counter-cultural charms of Linux, and have stuck with that ever since. I do however have an iPhone, and I think I can say without much exaggeration that it has changed my life. I guess that an Android smartphone would have had the same effect, and preserved my open-source purity, but Apple got to me first, and, at this point in my life, I can’t be bothered with the dislocation of changing software ecosystems. I am planning to get an iPhone 4S, despite the lukewarm reviews, since my current model is a 3G, which is getting to be embarrassingly clunky. It’ll be interesting to see if Apple’s products can retain their cachet now that Steve Jobs is gone, or if people will finally notice that everyone and their granny has an iPhone or an iPod, and Apple are just another producer of (somewhat overpriced) consumer commodities.